Product identifiers are unique product codes that must be included on listings in many eBay categories. Including product identifiers in your listing helps buyers find items quickly, on eBay and when using search engines. Product identifiers include the item’s brand, manufacturer part number (MPN) and Global Trade Item Number (GTIN). These unique codes are typically found on labels or barcodes. Most new, branded items have product identifiers. A Global Trade Item Number can be a Universal Product Code (UPC), European Article Number (EAN), or International Standard Book Number (ISBN). A brand must be valid and established otherwise for unbranded products, sellers should specify the Brand Value as ‘Unbranded/Generic’ instead of ‘Does Not Apply’. From 14 August, new listings with missing MPN and/or GTIN information may not list. Good till' Cancelled (GTC) listings may not be relisted. The following product identifiers must be added when listing new or manufacturer-refurbished items. This also applies to relisted, revised and Good 'Til Cancelled listings. Moving forward, ‘Does Not Apply’ is only to be used where a manufacturer has not assigned a GTIN for a product (for example, if you are making your own product). Home & Garden (Tools & Appliances only). Better visibility in eBay search and in search engines like Google or Bing. To enable selection for eBay marketing emails, product reviews and merchandising. A GTIN will allow your item to be discovered easily by international buyers. You’ll list items faster with prefilled data like item specifics. Better pricing advice and trending alerts. You'll be eligible to receive more accurate pricing guidance and trending pricing alerts putting you in a stronger competitive position. Check your listings for missing product identifiers. You can use eBay’s bulk listing and editing tool to update your existing listings. Add product identifiers during the listing flow, or use your preferred listing tool such as the bulk listing and editing tool if you list larger amounts of items. Remember, you won’t be able to list or relist products unless product identifiers are added to your listings. Product identifiers are the product’s brand, manufacturer’s part number (MPN) and global trade item number (GTIN). GTINs are either an international standard book number (ISBN) in media categories, European article number (EAN) or unique product code (UPC) in non-media categories. When listing on eBay, you should always list with product identifiers. Where manufacturers do not publish a GTIN, it is acceptable to use “Does Not Apply” as a value. Why do I need product identifiers? 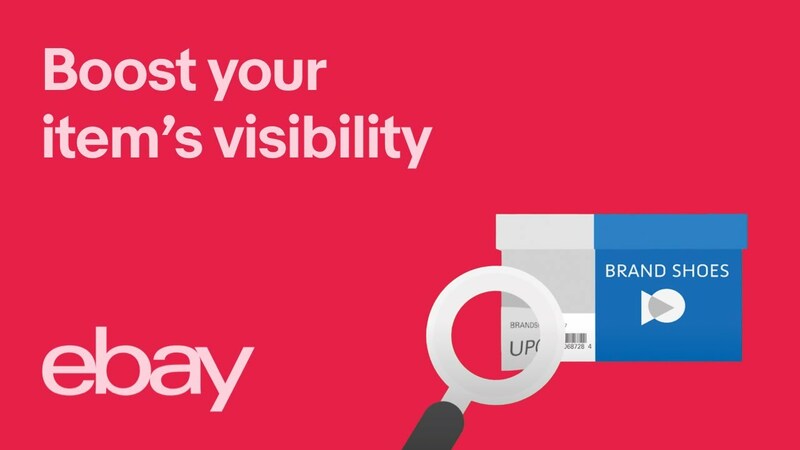 Product identifiers enable eBay to properly identify your product for visibility on its next generation browse features and algorithmic merchandising modules. These would enable more impressions and conversions. It also helps buyers find your product when searching on and off eBay. Product identifiers are also used by search engine such as Google to surface your products. Note: From now on eBay listings of commodity products without identifiers are not accepted by Google for search submissions. Where do I find my product identifiers? How do I update my product identifiers? Product identifiers are item specifics. You can add them via eBay’s selling flows or via API’s. Sellers who are connected by API or by non-eBay listing tools should update their inventory systems, which should in turn update their listings on eBay. Almost all backend inventory systems track sellers’ SKUs with identifiers such as brand, MPN and GTIN. These should be passed through to eBay along with other product details such as the title, description and item specifics. Get in touch with your third-party provider on how to update your eBay listings. Sellers who list using eBay listing tools should revise their listings and update item specifics such as brand, MPN and GTIN. If you are using eBay listing tools, we recommend using file exchange to update product identifiers in bulk. It allows you to specify item IDs and the aspects to update. What will happen to my listing if I don’t update after 14 August 2017? Listings without valid product identifiers run the risk of not being relisted. What happens if I don’t have product identifiers? Branded listings without appropriate product identifiers may not be listed. Product identifiers are required in almost all categories for new and refurbished items. As eBay is continually expanding its product identifier mandate, this requirement may eventually be site wide. I sell used/collectible/vintage/one-of-a-kind items— Do I have to add product identifiers to my listing? eBay expects sellers of such items to have a brand. If your item is one-of-a-kind, it is acceptable to use ‘Does Not Apply’ for MPN and GTIN. Analytics in June 2017 showed that correctly identified items achieved more impressions and 6.0% more conversion than those without product identifiers*. Note (*) based on analysis of listings of new products excluding Media from Australian sellers, that were live between 1 June, 2017 to 30 June, 2017. If I use ‘Does not apply’ in a required product identifier field, will buyers still be able to find my item in Search? ‘Does Not Apply’ may only be used where the MPNs and GTINs are not provided by the manufacturer (for example if the product is unbranded, or if you are making your own product). Almost all manufacturers provide MPNs and GTINs. UPCs and EANs are checksum validated. These are values whose digits can be validated through a predefined formula. They ensure the identifier’s integrity and enables the values to communicate uniqueness. Verify your UPC (or EAN). My products are unbranded, what do I do? For unbranded products sellers should select the Brand Value ‘Unbranded/Generic’ instead of ‘Does Not Apply’. Are product identifiers required on multi-SKU listings? Yes, items with multiple variations (multi-SKU) are required to include product identifiers when listing in the applicable categories. Before then, you’ll be able to include product identifiers at the variant level (in most selling tools). You can enter the brand only at the “parent” level (which covers all variations). You can enter Global Trade Item Numbers only at the variation level within each listing. Manufacturer part numbers can be entered at either level. If I select 'Sell one like this' when starting my listing, will I need to include product identifiers? Yes. However if you use an eBay catalogue when listing your item, the necessary product identifiers will be prefilled.